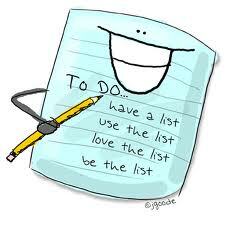 Scalded Flea ...: To do list. ACK! So much to do. Logan's party is on Saturday and I have SO much to do!!! I sent out invitations to 10 kids. ALL 10 said yes. So with Logan and Zach that's 12. I think I might be certifiably insane as I am having this party at my house!! 1. Ice Cupcakes - Going to try to do something clever and creative here, but if it doesn't pan out, I am not going to worry about it. 7. Wash off deck - We did some backyard renos and there are muddy footprints on the deck... those gotta go!! PLUS!!! Since the #$%^&(*)(*&%# Air conditioner died this week, I have the repair people coming tomorrow between the super convienient hours of 9 am and 2pm. That doesn't mess up my day at all. I am so lucky in that I can work from home, so that's great. I don't have wireless though, which means I am stuck down in the basement all day, which isn't so awesome. Hopefully the figure out the problem and then hopefully it's covered under warranty!